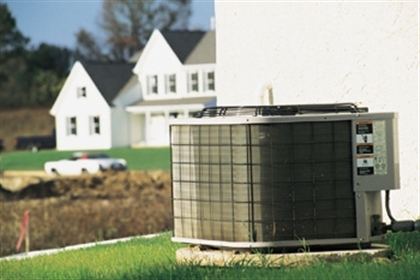 When Should You Be Shopping for a New AC? As the weather starts to warm up, you might think about starting your air conditioner just to see how it works. Sometimes, when you turn it on and it does not work, or it does not seem to be working very well. You do not want to wait until the hottest part of the summer before you realize that you seriously need a new air conditioner. These factors help you decide if this year is the right year for replacement. Like every other appliance in your home, your air conditioner only lasts a certain amount of time. While this term is affected by your use and upkeep of the machine, you can only realistically expect to get about 10, perhaps 15 years, from your air conditioning compressor. Another factor that may affect your need to upgrade involves the refrigerant in your system. Older systems use the outdated R-22 refrigerant. Use of this product was phased out in the past decade, and as of this year, you may find it difficult to recharge your refrigerant if you use R-22. Your air conditioner may be plugging along as well as it can, but that does not mean that you would not benefit from replacement. HVAC equipment loses efficiency over time. New machines also generally offer greater efficiency than older models, as well. Be sure to consider your current machine’s Seasonal Energy Efficiency Ratio (SEER) compared to the ratings of the latest models we offer. Perhaps your air conditioner is not working as well as you would hope. Beyond regular maintenance, there are expensive repairs you have to make to keep your home pleasantly cool in the summer months. If you are facing repair costs that exceed more than half of a new air conditioner, you may be throwing away good money into repairing a machine that is already outdated. With a new machine, you can enjoy minimal maintenance and lower rates of repair. Deciding to get a new AC is an important decision. You must hire the right contractor to help you identify the correct equipment for your home and install it professionally. If your existing machine is old, inefficient or requiring expensive repairs, you could benefit from the efficiency of a new air conditioner. With a new HVAC system, your summer will be more comfortable than ever.